When your employees work in a clean and organized office, they are more focused on their work. Recent research suggests almost 90 % of office workers feel more productive in a cleaner environment. With our professional services, you can ensure that employees will have their personal space organized, have clear desks. When you outsource the work to us, we ensure that your employees are focused, and you have peace of mind and that they are paying more attention to their primary work. 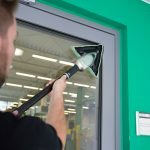 It will help you in creating a better work-environment and will have a significant impact on the operational costs as well, as you don’t have to hire too many full-time employees for cleaning purpose. people using office facilities, eating at their desks and touching surfaces and office equipment, it becomes very easy for the germs and bacteria to spread. They can also cause illness which may result in an increase in sick leaves taken. Our cleaners are trained professionally in sanitation practices to ensure that your office is hygienic, healthy and free from germs. When you give your employees a cleaner work-environment, they also feel cared for, and it has a lasting effect on their morale. They work harder and like to spend more time in office which makes them loyal to their jobs. Cleaner Image has been a preferred choice of both SMBs and many established organizations for almost two decades. 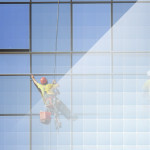 We follow the highest standards of cleaning. 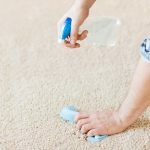 Our cleaners are given expert training and have the proper experience to ensure that your office is not just cleaned at the surface but cleaned deeply and thoroughly, so you know that you are getting a professional service. Cleaner Image is a leading Janitorial maintenance in Los Angeles provider, and with us, you can rest assured of quality services at all times.